Large cities have medinas and souks are core markets, usually in the center of the medina. 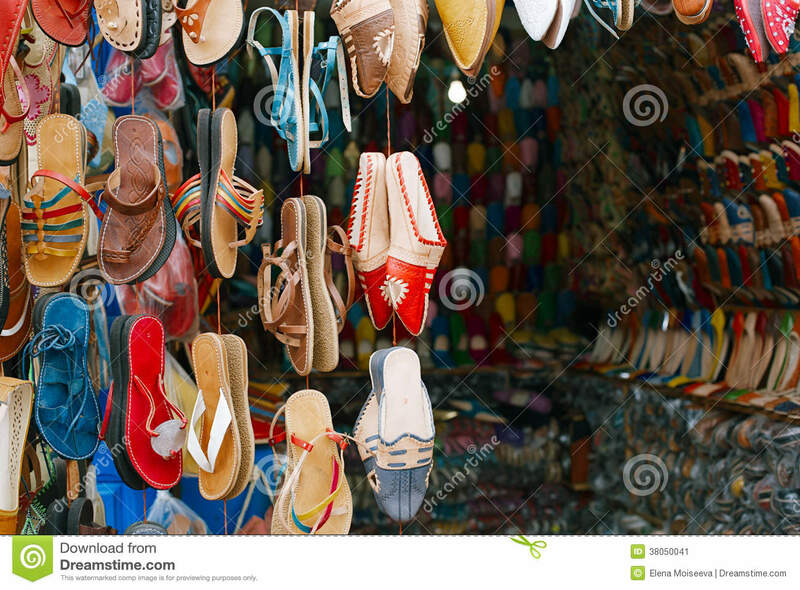 Large souks, such as those of the medina of Fez, home textile shops, spices, furniture, carpets and jewelry. Artists and craftsmen plying their wares Moroccan and talents every day. Morocco, which has been known for centuries for its artisans, selling leather products and carpets, shoes, and even the highest quality spices. Moroccan women have made carpets for millennia. Moroccan carpets are now available only to those who are willing to pay the price. Making of a rug can a month or more than a year to complete. Moroccan carpets are famous for quality, both in manufacturing and colors. Rates often depend on whether the carpet is woven or knotted. Knotted carpets take much longer and are much more expensive. Berber carpets are probably the most famous. Carpets of those who live in the High Atlas mountains people are known to rich warm colors. Carpets made by the people of South Meknes more detailed weaves. Leather goods are another famous Moroccan craft work. Leather work in Morocco lasted as long as carpet weaving. Different regions of Morocco qualified for the manufacture of various items. In the Rif mountains, artisans make satchels, shoulder bags, belts and terracotta covered in leather. Marrakech artists are known for leather clothes and camel saddles. Other things such as yellow banana slippers (slippers) and ottomans are also very popular and available in most of the medinas. Painted boxes and bowls are just a few examples of woodwork that is available in areas such as Essaouira. Various areas are known for different things in wood. Around Essaouira, the elements are made from magnifying glasses of the aromatic cedar tree. Beautiful bowls and boxes and furniture are carved from the wood. Boxes are painted and carved wooden lattice found in the region of Fez. Marrakech has bigger things such as painted or carved panels, chests inlaid designs that have developed or doors. Jewelry making is another well-known Moroccan craftsmanship. Earlier in the country's history, the Jewish people living in different regions of Morocco were jewelry makers. They spent the occupation through the ages. Today, there are many skilled artists working with gold and silver. As woodworking, different types of jewelry are manufactured in different regions of Morocco. Marrakech was the main stop in Morocco for the caravan routes completing the trans-Saharan Journey. Marrakech Jewelry found influence in sub-Saharan Africa. Tangier and Fez have jewelry that shows the Andalusia drawings, while enamel is most popular in Essaouira. In rural areas, the money is most appreciated. The Berber people in the mountains work their jewelry from this precious metal. Here money is transformed into necklaces, bracelets, anklets and forehead diadems. Berbers are also daggers inlaid with precious stones, trays and tea services along with silver boxes and pots. Moroccans make basketry from palm trees. Colorful hats, straw trays and boxes are manufactured in very town in the country. Ceramic is another famous handicraft. Clay jars; vases, plates and baking dishes called tagines were made for centuries in Morocco. Each region of the country is known for a type of ceramic or color. Pottery Zagoran has a greenish finish, probably influenced by the green of the oasis. Sale colored glazing on its decorative pottery. Fez has the most famous pottery that uses many colors with silver inlays. Berber Artisan near to Marrakech ocher ware. Ceramic tiles are originally Moroccan mosaics that are famous. Many cooperatives have been trained to do these ceramic tiles. Cooperatives of Fez are the best known. Develop models are created by these groups. The aforementioned goods are only a few that can be found in Morocco. Craftsmen work in gold, stones, and use copper and iron. Embroidered textiles are another type of popular crafts in Morocco, with hand-woven textiles. A visit to a medina or souk would show a lot of things done in Morocco.